A couple of months ago I decided to start writing reviews of ZX Spectrum homebrew games in the style of “Your Sinclair” magazine - the classic and very silly computer mag of the 80’s and early 90’s. 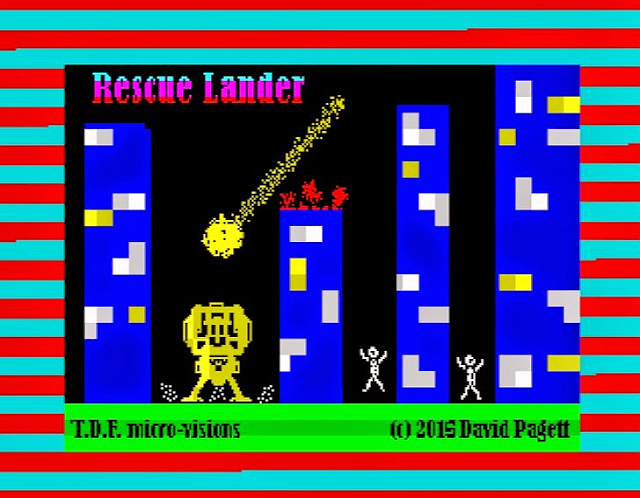 I am very happy to have been asked to post my reviews to Indie Retro News as of today, and here is the first, David Pagett’s “Rescue Lander” from 2015. 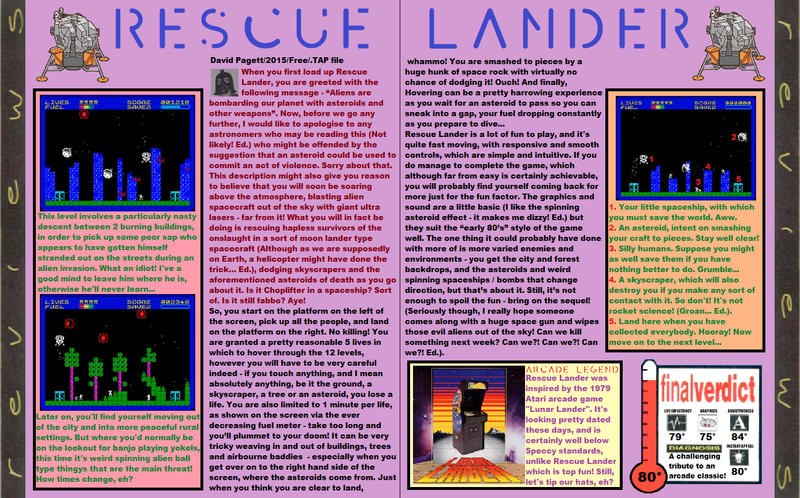 I create the reviews in the style of a magazine scan for that true retro feel, and because I’m rubbish at desktop publishing. Hope you enjoy it!